good things from your heavenly Father"
“God does the healing,” he told The Journal Gazette last year. “If it wouldn’t be for Jesus Christ we couldn’t heal nothing.”The longtime faith healer died early Monday afternoon. The DeKalb County Health Department confirmed his death but could not provide details. He was 75, according to his obituary. The New York Times wrote about him in 1981. A book was written about his life. The Internet is full of testimonials from clients. Wickey worked Tuesdays and Wednesdays out of a nondescript white vinyl-sided building between Auburn and Spencerville. 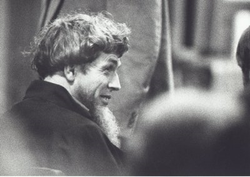 He claimed to use his faith to heal by peering into clients’ eyes, listening to their health concerns and perhaps suggesting an herb to right their ills. The Journal Gazette wrote about Wickey in September, when he recounted his brush with the legal system years ago. He and his family lived in Berne in the early 1980s when the Indiana attorney general filed a civil complaint of practicing medicine without a license against him. He countered the accusations by saying he offered only nutritional counseling in accordance with biblical teachings and was not a doctor because he did not charge for his services. More than 400 letters from well-wishers poured in and supporters packed the courthouse. The judge sided with Wickey. The Wickeys left Berne and moved to Madison before settling in DeKalb County, where they have lived for more than a decade. He is survived by his wife, Anna Mae Wickey, 12 children, a sister, a brother, 113 grandchildren and 44 great grandchildren. Below is information is from a dear friend and alternative health advocate Dr. Norman Sudduth. We have known one another for 8 years now and our talks and consultations have always been a cherished exchange of knowledge and experiences. Please note his recovery from cancer, like mine, was a step of faith knowing that western medicine is not the way to go and we are in a health care crisis that requires the individual to be his own advocate. As daunting as that may appear we have many who have gone before us as well as people like Dr. S and myself who are here to help based on our own experience. Download the information and should you need any more help do not hesitate to contact me. ﻿Solomon's Four:﻿ Red Clover Blend, Lapacho (Pau d'arco), Whole Apricot, Parsley Click on each name to read about that herbal tincture. You will receive an information sheet on each herb and its dosage. IMPORTANT NOTE: From Dr. Dellerson, he heard that the US govt is requiring pasteurization of all almonds. this is now thought to kill the glucosidase enzyme necessary in the almond for the Wickey protocol. He said raw almonds were available from Spain. i will pursue this further once I find a reliable source. 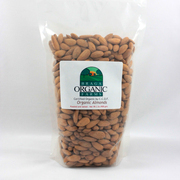 I will also check with Braga Farms below and see if they are pasteurizing these almonds. In the mean time look for Spanish almonds but be careful and do your homework. Remember, Live Smart and Journey Well. As Margaret Thatcher (former Prime Minister of Great Britain) once said "Socialism is GREAT - UNTIL you run out of other people's money". You need to use almonds with the Whole Apricot for the cancer killing effect try this wonderful source it supports Local Harvest a non profit site for information on markets to buy organic and locally grown produce. Braga Farms is a family farm in the California Central Valley. freshness! If you want quality nuts grown and processed with care, these are for you.